Hope everyone is having a happy Easter weekend. I dont have any little ones, so no egg hunts, frilly photo sessions or Easter bunny meetings. However, I do have my adult daughter home with me this weekend. She comes in so we can do some of the Eastery fun stuff. We bake, dye eggs, and shop. We will get up Easter Morning and go to sunrise service, church service and then sit down to a nice Easter dinner. 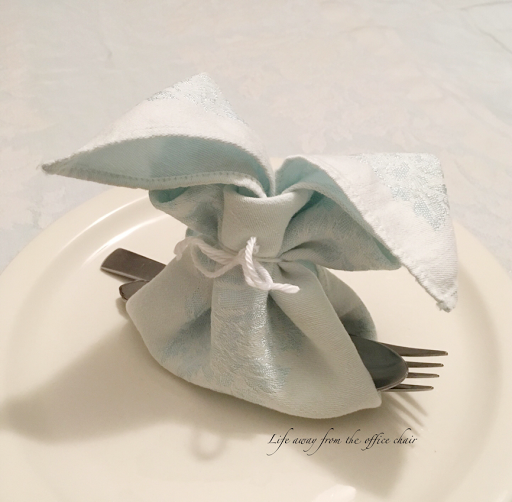 Speaking of dinner, as I was adding clean linens to the table, I started playing around with the napkins. 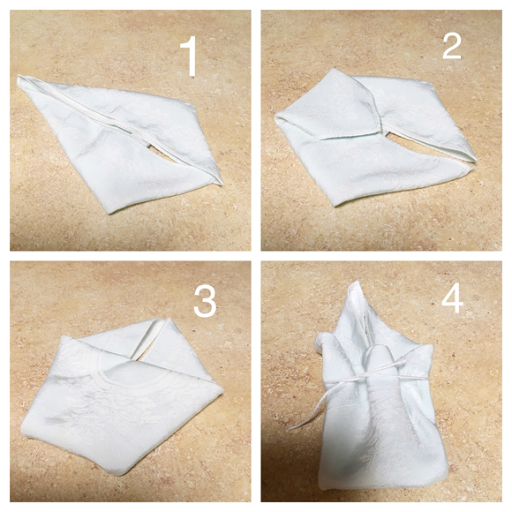 I dicovered a way to make little bunny napkins. Pretty ribbon or napkin rings would make them even more fancy but I had neither. Excuse the picture quality. The lighting was terrible in the dining room and I was in a hurry. I made a potato salad, broccoli casserole and banana strawberry salad to go with Sundays Dinner. 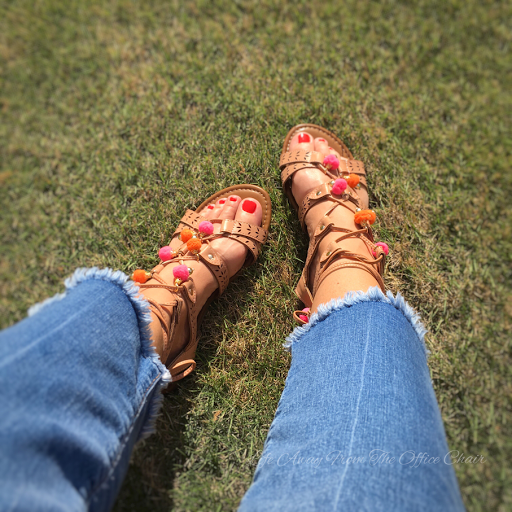 Easter shopping is complete, Easter baskets are assembled and remember the pom pom sandals I pictured in my last post? Found some! Yes I bought them. Later me and Ashley dyed eggs. Now listen up! If you dont want a mess, your gonna love this idea! 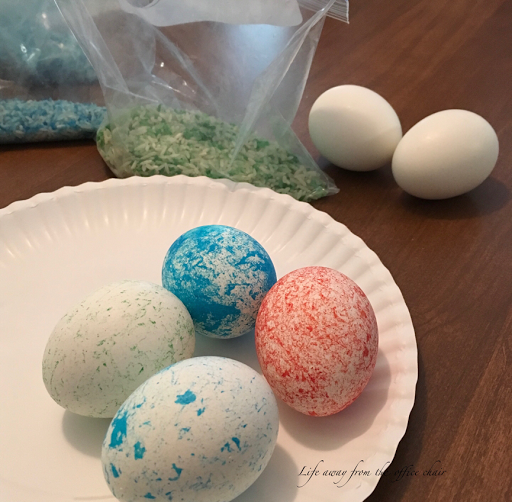 Its clean, colorful and you can handle the eggs immediately without getting dye on your hands. 1. Place white rice in a baggy. 2. Put about 5 or so drops of food coloring in the rice and mix a little. 3. Place egg in bag and shake it around. The more you shake and mix, the brighter it becomes. 4. Remove them using your hands. The dye will not get on them as its already dry. Really! Its like a little miracle. Hope everyone has a great Easter and remember the true meaning of the day. Hahah I Would love to learn Origami! I bet those are really pretty! Save from year to year. I love this Easter egg idea! Thanks for sharing it. Happy Easter! Thank you for the Easter fun. Cute ideas. Like the sandals too. Love the 'bunny' napkin AND the sandals, too. I am glad your daughter gets home to spend special times with you! Its works! But you have to work quickly to get the egg in there as the rice dries the dye in about 5 minutes. You done good with the eggs. I watched a new way here with the grand teaching the great grand to die in zip-lok bags. But the rice sounds so much cleaner. You have some great ideas. Sending a yell from neighboring Btown. Have fun with those grand kids. When Jilda and I took the cruise a few years ago the room had a towel figure each day. They were amazing. I love your bunny.